Peter Lippmann’s version of Jean-Marc Nattier’s Portrait of Mathilde de Canisy, Marquise d’Antin (1738) for Christian Louboutin. Peter Lippmann’s version of Marie-Guillemine Benoist’s Portrait d’Une Negresse (1800) for Christian Louboutin. Peter Lippmann’s version of Francisco De Zurbaran’s Saint Dorothy for Christian Louboutin. 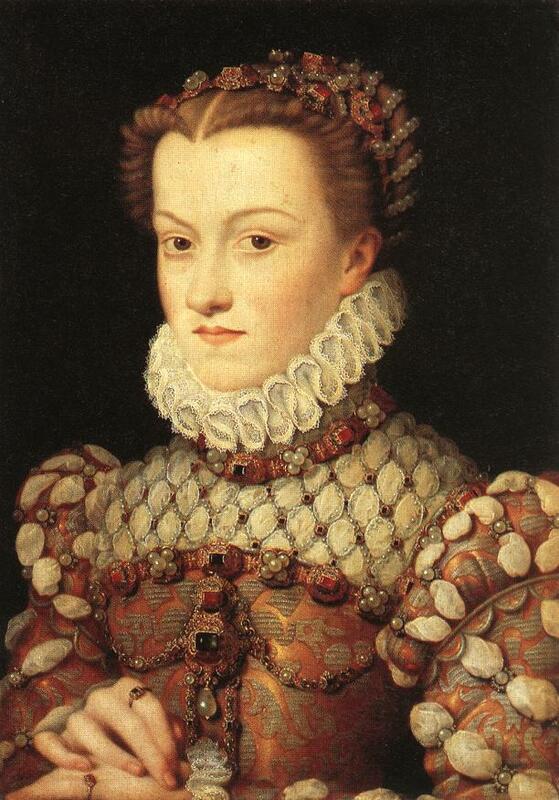 Peter Lippmann’s version of Francois Clouet’s Elisabeth of Austria (1571) for Christian Louboutin. 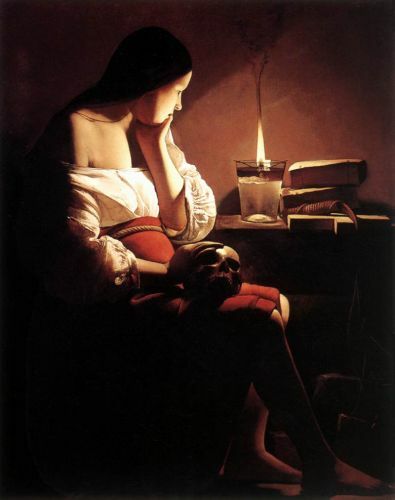 Peter Lippmann’s version of Georges de La Tour’s The Magdalen with the Smoking Flame (1642-1644) for Christian Louboutin.